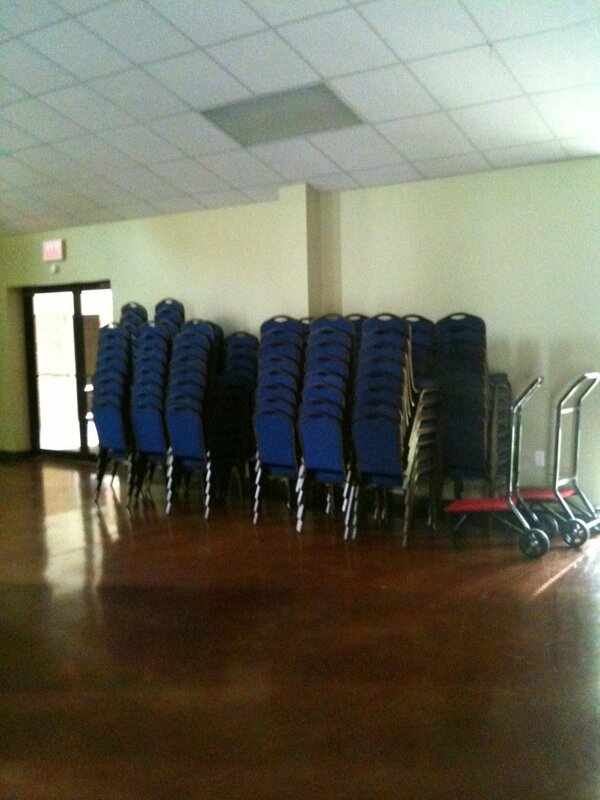 Uses: Before and After, Church, Education, Religious, Sunday School Colors: Browns/Tan/Beige Lengths: 13 panel 24'-1" Heights: 7'-4"
The First United Methodist Church in Clyde, TX did not have adequate storage space for their fellowship hall tables and chairs. 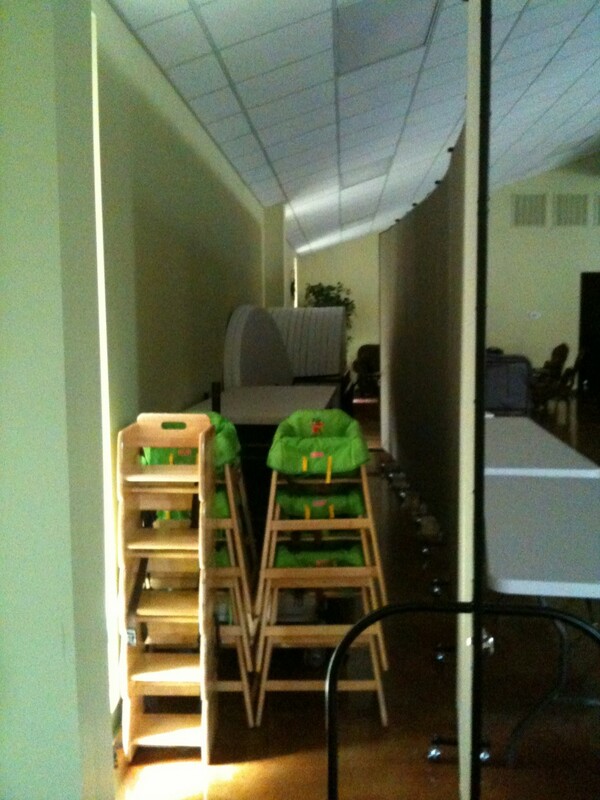 When the tables and chairs were not being used they loaded them onto carts and pushed them against a wall to get them out of the way. 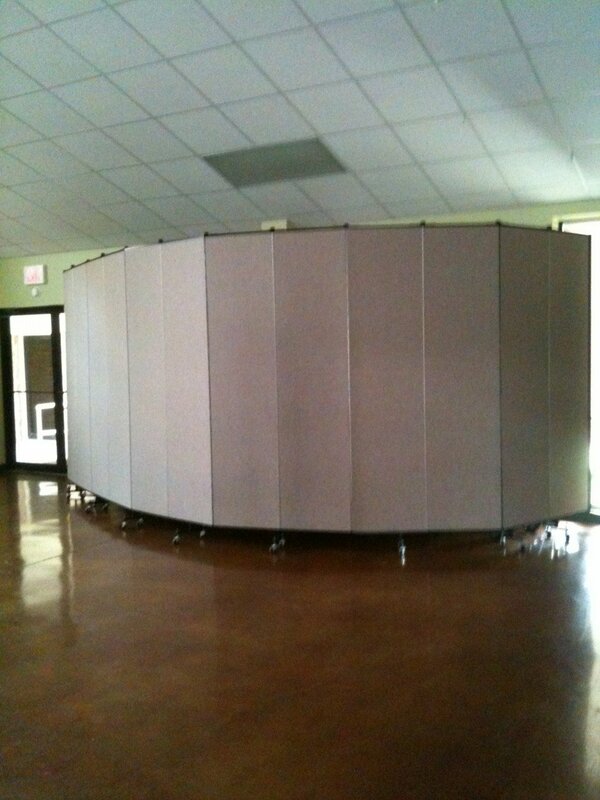 They purchased a 24′-1″ long Screenflex unit to solve their unsightly storage problem by positioning the open divider to hide unused items from view. 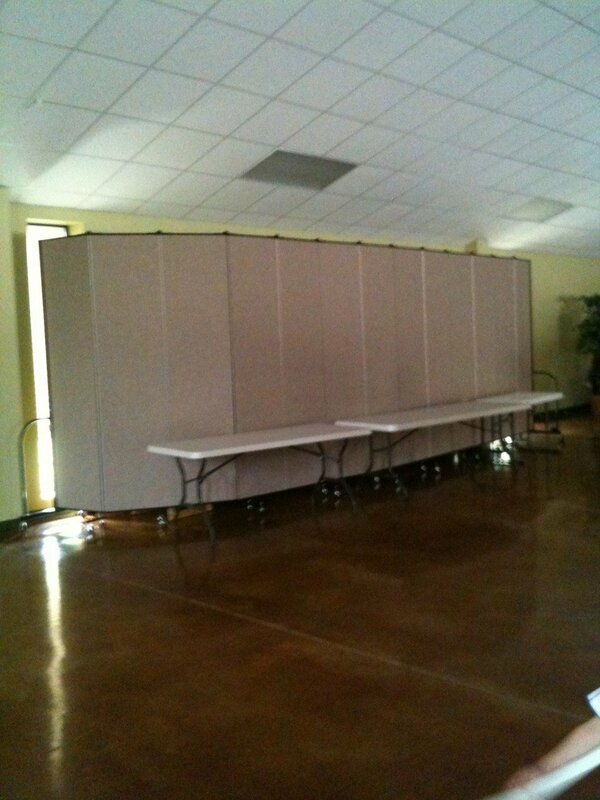 A bonus is that they can use the divider as a separating wall when they set up the tables and chairs for various functions!